The Fire District Administration includes one full-time Chief, one full-time Deputy Chief and one part-time Deputy Chief, one full-time Administrative Assistant, one part-time Office Assistant, a full-time Fire and Life Safety Educator and a part-time Fire Prevention Officer. Chief Yancey provides leadership and service for the men and women of the Fire District; guiding the organization during a period of rapid change in the community and the organization. The Fire Chief manages a multi-million dollar budget, develops policy and procedure for effective, proactive service to the citizens, represents the Fire District’s interest in local, state, national and international issues that affect the organization, and represents the Fire District before the Board of Trustees. The chief is also responsible for incident command at major incidents in and around the District. 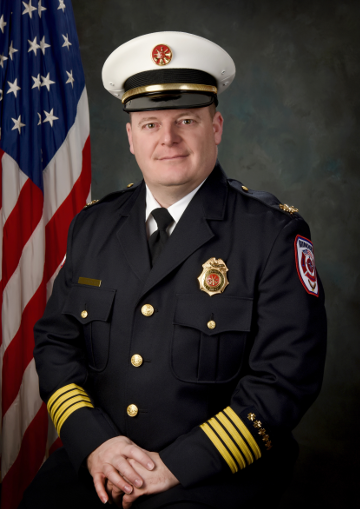 Chief Yancey holds an Bachelors Degree if Fire Service Management from Southern Illinois University – Carbondale and an Associates Degrees in Administration of Justice from John A. Logan College in Carterville , Illinois. 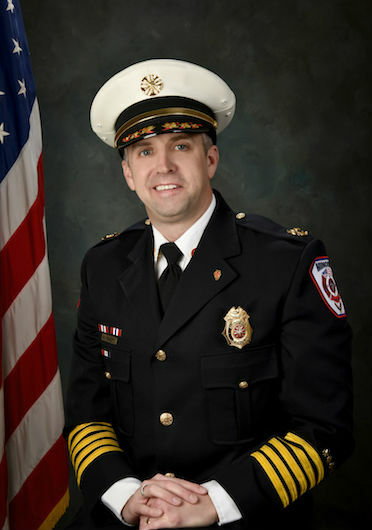 Chief Yancey is a Certified Executive Fire Officer by the United States Fire Administration – National Fire Academy, Certified Fire Officer II, Illinois EMT-B, and a National Incident Management System (NIMS) Certified Incident Commander & Planning Section Chief. Chief Yancey began his fire service career in 1988 as a recruit firefighter in a volunteer department in downstate Illinois where he served for 14 years rising through the ranks of captain, deputy chief and becoming the department’s first full-time fire chief. 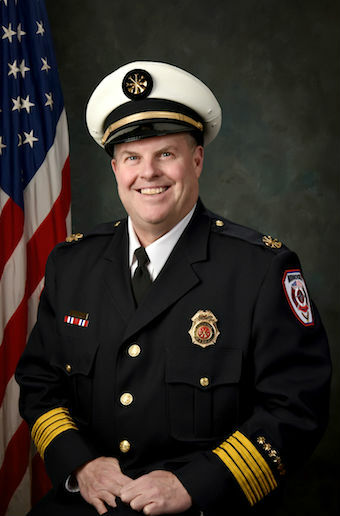 Chief Yancey also served as the first full-time fire chief of a department in the suburbs of Louisville, Kentucky where he led the organization through change to improve the service to a growing community. Chief Yancey has served the people of Minooka as their fire chief since August 2003. Chief Yancey serves as the Volunteer and Combination Officer Director for the Illinois Fire Chiefs Association, Director for the Volunteer and Combination Officer Section of the International Association of Fire Chiefs, Secretary for Western Will County Communications Center (WESCOM), and president of the Des Plaines Valley Fire Chiefs Association – MABAS 15, a cub scout den leader and assistant cub master. He is married with two children and they reside in Minooka. Deputy Chief Sprague serves and the operations and readiness chief for the Fire District; guiding the day to day operations of response and in doing so providing leadership to ensure apparatus and personnel are ready to respond to emergencies in the community. Deputy Chief Sprague is the chief officer responsible for overseeing the apparatus fleet and equipment programs as well as training programs. Chief Sprague serves on multiple committees within the MABAS Division as well as other programs related to traffic safety for emergency responders. Chief Sprague is also an integral part of MABAS Divisions 15 special teams response programs. The Deputy Chief is also responsible for incident command at major incidents in and around the District. Brad Sprague began his fire service career with Minooka Fire Protection District in 1986. He holds certifications as a Fire Officer II, Instructor III and Training Program Manager. As a lead-instructor at the Chief Shabbona Fire Academy, he developed the curriculum for the Traffic Incident Management Program. Brad Sprague brings a diverse experience as both a practitioner and Instructor within the application of Traffic Incident Management. He obtained a Bachelor’s Degree in Law Enforcement Administration from Western Illinois University and a Master’s Degree in Public Administration from Governor’s State University. Deputy Chief William Collins is primarily responsible for assisting with fire prevention, code compliance, and plan review activities around the District. He joined the Minooka Fire Department in 1980 as a cadet rose through the ranks as Firefighter, Engineer, Lieutenant, Captain, Assistant Chief and Interim Fire Chief on three occasions. Chief Collins is a Certified Fire Protection Specialist (CFPS) through the National Fire Protection Association, Professional Grade Member with Society of Fire Protection Engineers, Professional Grade Member of the American Society of Safety Engineers and maintains State of Illinois Certified Firefighter III, Hazardous Material Incident Commander, Certified Instructor I and various Fire Prevention, and Fire Officer level certifications, including an Associates Degree in Fire Science and Bachelors Degree in Fire Service Management from Southern Illinois University – Carbondale.Deputy Chief Collins serves in the command staff at moderate to major incidents, serving as incident commander, operations, or plans chief. Chief Collins serves on various local committees and national fire protection/disaster committees, is co-owner of local businesses and is the fourth generation living and working on the family farm. He enjoys spending time with his wife and three daughters with their 4H and FFA live stock projects and is active in his church. Sheri Gresham is the Fire District’s Administrative Assistant. Sheri is responsible for management of the administrative functions of the District and front office operations. Sheri’s primary responsibility is bookkeeping and accounts manager for the District’s finances, as well as serving as the filing secretary for the Board of Trustees activities such as meeting minutes, agendas and recording ordinances and resolutions passed by the Board. Sheri also serves as the direct administrative assistant for the Fire Chief in management of the District’s administrative resources. Sheri has served Minooka Fire District since 1999. A lifelong resident of the Minooka-Channahon community, Brandy Malone is our office assistant. She recently joined us in April 2018. She graduated from Minooka Community High School and received her bachelor’s degree from the University of St. Francis. Brandy has 17 years of experience in business management, finances, and clerical work. She lives in Minooka with her husband and two children. Lt. Brian Mellen coordinates the Emergency Medical Operations of the Fire District to ensure that continuing education is provided for paramedics and emergency medical technicians. He also reviews reports to ensure quality service delivery to the community and serves as an adviser to the Fire Chief in matters of medical service response and care. Lt. Don Mefferd serves as the Training Officer of the Fire District. His primary responsibility is to oversee the Training Division and to coordinate and document the fire training of the District firefighters. He joined the department as a volunteer in 1992 and has held the rank of Firefighter/EMT-I, Lieutenant, and Captain. He has served as a leader & member of the TRT/CART Team, and the Water Rescue Team. Lt. Mefferd retired from the local utility and has 40 + years of industrial and construction experience. He also has 30 + years of Industrial Fire Brigade, HazMat, and Confined Space Rescue experience. Lt. Mefferd was named as the Chief Shabbona Fire Academy Director in 2017. The Chief Shabbona Fire Academy trains new firefighters from the surrounding area fire departments. The academy celebrated its 25 anniversary with the graduating class of 2018. “Firefighter Cindy” is the Fire and Life Safety Education Coordinator for both Minooka and Channahon Fire Protection Districts. She was hired full time with the districts in October 2007 as part of a partnership between the two fire districts. Cindy has been in the fire service for 21 years and a paramedic for 19 years. Cindy is a Fire and Life Safety Educator I, American Heart Association BLS CPR/First Aid Instructor, Safe Sitter Babysitting Instructor, Child Seat Safety Technician, and Juvenile Fire Setters Intervention Specialist. Rodney joined us in 2016 as our part time Fire Inspector. 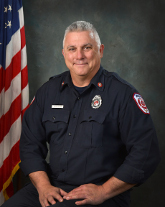 His certifications include Illinois Firefighter III, EMT-B, Fire Inspector I & II, ICC Pro Board I & II, Fire Officer I, Fire Instructor II and Plans Review. Rodney started in the fire service as a paid-on-call (POC) in 1991 with Hillside Fire Department where he later became a career firefighter for the same department in 1998. He earned his degree at Triton College in Fire Science. “Chaplain Brent” has served the Minooka Fire Department as chaplain since 2011. 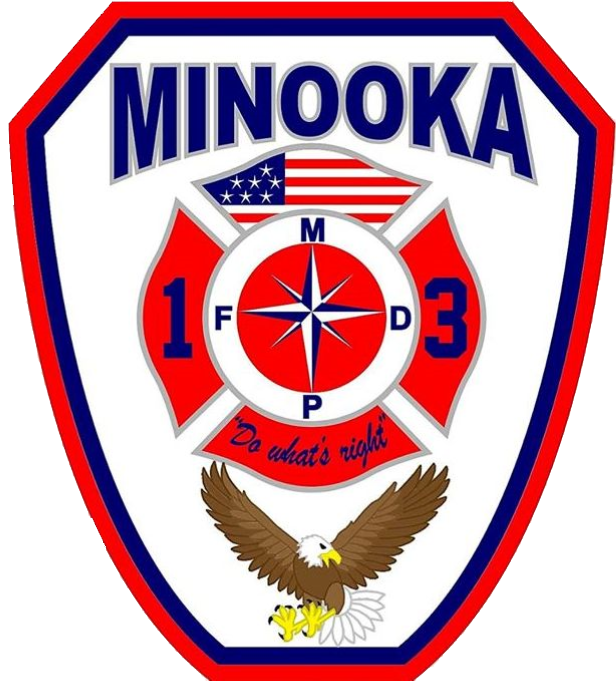 In his role, he is available to the Minooka Fire family in any way that they may need assistance in dealing with the emotional stress that a fire career brings and is available to the families of fire department members in ways that can offer them encouragement and help. He is also a point person for the victims of the tragedies that the department responds to. He helps families walk through the crisis of a home fire or the pain caused by a tragic accident, by offering them comfort and helping them through the next steps. Chaplain Brent is a member of the Illinois Corps of Fire Chaplains and the Federation of Fire Chaplains. He also serves as point person and trainer within the MABAS 15 division of department chaplains.